MELVILLE, NEW YORK , July 11, 2017 (Newswire.com) – RingLead, a leader in data quality management, today announced an executive sales training and relocation program to facilitate its expansion into international markets. Program candidates will spend 1-2 years training with sales veterans in New York before returning to their respective country, or a country they desire to work in, to open and manage an international RingLead office. RingLead will pay for relocation, and candidates will be allotted housing stipends for a period of time, contingent on their ability to execute clearly outlined expectations provided at the time of hire. This exciting program launch reflects a pivotal point in RingLead’s 2018 European Expansion Plan, and is complimentary to RingLead’s ongoing commitment to creating jobs on Long Island. To discover the best talent in Europe, RingLead has signed an exclusive deal with top European recruitment agency, Sigmar Recruitment. 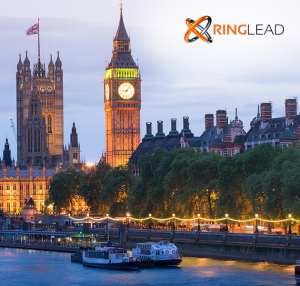 RingLead will begin its aggressive search with a focus on the United Kingdom, Germany, Australia and France. Candidates who speak German, French or Dutch are preferred. For the duration of the program, candidates will call in to their territory in Europe or Australia from the U.S., and will work hours based on their territory to position RingLead as a leader in both markets. Program candidates will receive extensive hands-on training, become product certified, and have access to online training from RingLead University, Cardone University, LinkedIn Sales Navigator, WebInfinity and more. Throughout the course of the training program, candidates will work on prospecting in their respective territories, enabling them to build a foundation in the territory they will later manage. Candidates will be allotted three paid trips home for on-site visits with prospects and customers, as well as time off to visit family. In addition to targeting Europe, RingLead will focus on expanding in three key U.S. cities: New York City, New York, San Francisco, California, and Austin, Texas. Since January, RingLead has hired a total of 25 local candidates to work at its headquarters office in Melville, New York.